With the addition of drummer Ansley Dunbar for their 3rd release, Fire On The Moon, bassist Bob Daisley, vocalist Joe Lynn Turner, and guitarist Jeff Watson have created a far heavier effort than their 2 previous releases, but with this said there's no evidence that the band have forsaken song writing for the increased heaviness. The albums second track, "Way Of The World," shows Daisley laying it down in his trademark solid fashion and joining the fleet fingered Watson in hammering out unison guitar/bass lines that snake and weave around each other then join as one sonic united front. There's no wide eyed naivety in the lyrics either because Mother's Army have taken it upon themselves to soak in the world around them, it's times of beauty, and it's times of injustice, and found a way to relate these topics in a way that still rocks. 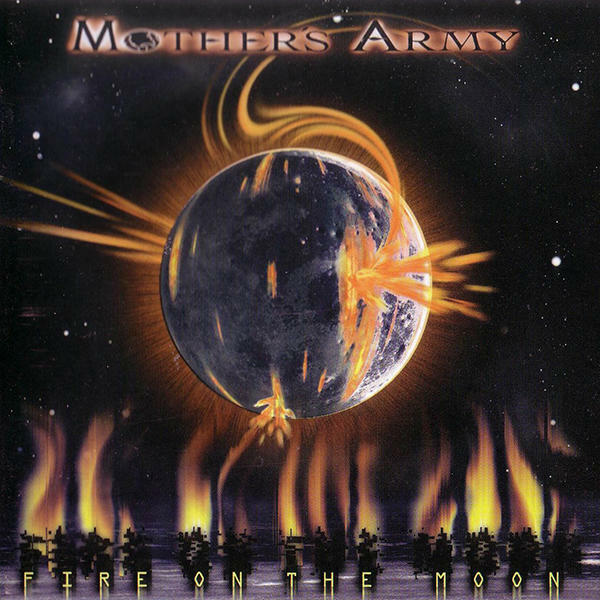 Supergroup, being a term that has been beaten to death describing lesser bands, seems to be a moniker that the members of Mother's Army actually live up to. There's a little Beatle's influence at times, and the track "A Day In The Night," shows the band at it's melodic best, while the title track, and "Another Dimension" take you to places on the low end musical map that only Daisley could be responsible for drawing the blueprint for.